Okay... I am in the process of ripping all my DVDs and BRs to an external HDD via MakeMKV program. DRM free movies! Score. All my new files are the .mkv container (only format new version of MakeMKV generates). I do have several movies in .avi and .mp4 as well that I don't want to lose access to. Currently I am moving a USB external HDD around from PC (VLC Media Player App) to my LG BPM33 Blu Ray player in my living room. This BR player has subpar reviews and spotty wifi IMO... but plays every .mkv, .avi, and .mp4 file I throw at it via USB. Down the road I'll purchase a NAS to stream over the network or set up a plex server. I'm a laptop guy so no PC on all the time currently. External USB HDD method is fine for now. Just leaves me hunting a media output device that will meet my current USB needs. Keeping it simple now. Also, my USB drive is a Seagate Passport (will eventually need a second HDD so dual USB is cool but not a must) and powered over USB versus an external power supply. I was looking at this guy below, a $30 Android box from Amazon. I can't find confirmation that it will support the .mp4 container though. Assuming if it is MPEG4 within a .mp4 it'll work? I really enjoyed the recent Shield TV Thread but that box is way is overkill for me. Not really looking at gaming, cable TV plugins, etc. Recommend me a box! Have one that will play those 3 video files formats and blow my mind? The $30 price point is cool but I'd probably go up to $75ish if needed. I can always get another LG BPM33 for $50ish used but the GUI is outdated and slow by today's standards (4 or so years old). Definitely not interested in the Shield level prices. Actually playing the movie as part of my digital movie project is an important piece of the puzzle... duh . Thanks in advance! Read what all it does, see what you think. The box I linked supports h.265. Make sure whatever box you get does support that format. Thanks man, I need to compare specs on all those top ranked ones. I also asked over on Phandroid forums. Isn't .265 for 4K? Looking at future proofing? Looks like they all list MPEG4 (which I believe is h.264 codec, right?). For $30 probably worth a shot. Only 15% or so of my movie files will be .mp4. Rolling the dice a bit on those, but I'd be surprised if it played the long list but was hung up by .mp4. Okayyyy after some digging there are small boxes aimed specifically at playing files off external drives. One thing to be wary of is future support. For example, YouTube videos are no longer supported on my older stand alone Sony Media Player. I can still watch all the standard media files as well as NetFlix though. A laptop PC or a PC "gaming box" if feasibly hooked up is a better approach for maximum future compatibility. Thrown in all the PC games and Mame with the largest support on a PC platform! 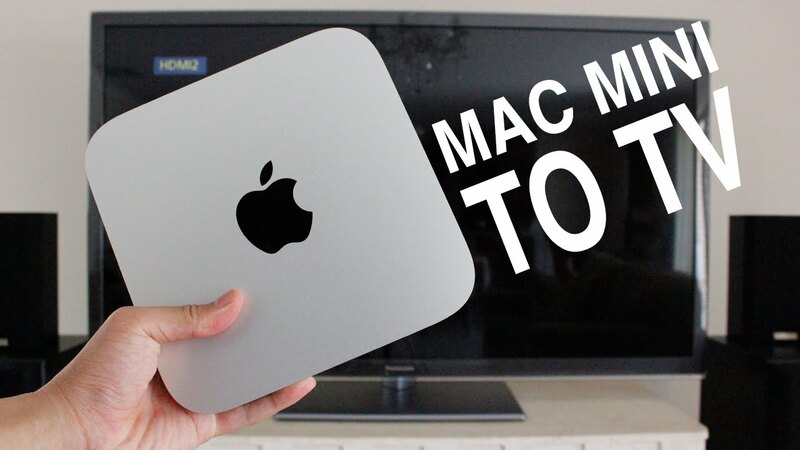 I swear one of these days I'll pick up a Mac Mini, it can run MacMame, all videos as well as Windows Emulation. Last edited by CRTGAMER on Mon Aug 15, 2016 10:27 am, edited 2 times in total. Jagosaurus wrote: Okayyyy after some digging there are small boxes aimed specifically at playing files off external drives. Yes h.265 is important for future proofing. Hell, present-day proofing even. CRTGAMER wrote: I swear one of these days I'll pick up a Mac Mini, it can run MacMame, all videos as well as Windows Emulation. I have a Mac Mini in my living room setup. A similar PC would be better, I think (a lot more tweaking that can be done and better driver support), and it's subpar for things like Netflix. Most of that could be "fixed" via Boot Camp, of course. Computers in general are strong for overall compatibility though. @exh, thanks! wonder if that guy will play .mp4, not in the specs. I did notice several said ".MP4 up to 4GB in size" which makes me think the container isn't as open as others. Jagosaurus wrote: @exh, thanks! wonder if that guy will play .mp4, not in the specs. I did notice several said ".MP4 up to 4GB in size" which makes me think the container isn't as open as others. My guess is that the issue there is less the video container and more the storage format. Since FAT32 only supports files up to 4GB, might be that some of the software was designed around that as a max size, even if NTFS support was integrated later. Ahhh, good point. Well, for $30 to $40 bucks I'm going to compare reviews this weekend & likely order something. Slowlyyyy ripping DVDs & Blu Rays curently. Couple a night. I'm abbout 40 down, out of 150 or so I'm look to move eventually.